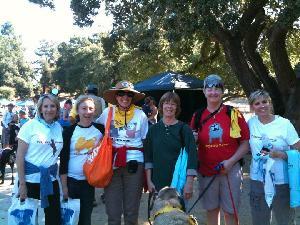 Mission of Hope Raises Tripawd Awareness, You Can Too! Mission 4 Hope helps three-legged tripod dogs with outreach materials at pet events in Cincinnati. Tripawds three-legged animal support community is for dogs, cats, horses and all animal amputees. 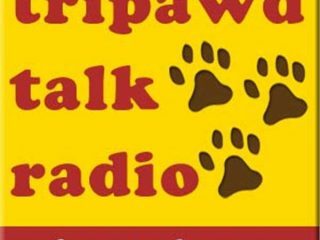 Tripawd Talk Radio meets Jillian Meyers of HealthyPaws L.A. to discusses pet first aid, what to do in emergency situations, how to make your pup comfortable during bad weather and signs that say it’s time to go to the vet. Tripawds raises public awareness of canine amputees by exhibiting at events like the Larimer County Humane Society Fire Hydrant 5 thanks to our members’ support. Three legged sled dog Calpurnia and Mom TC Wait share advice for coping with loss, grief and end of life decisions for animal companions. Tips for meeting new canine amputee parents and organizing a three legged tripod dog party in your city. Tripawds three legged bone cancer dog resource walks for Morris Animal Foundation Cure Canine Cancer Walk in Elk Grove, CA on May 7 2011.